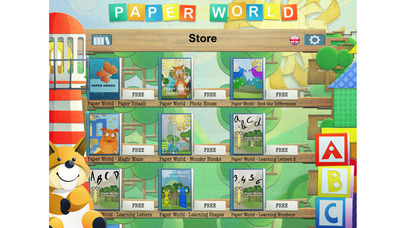 This interactive app features an imaginary "Paper World" and focuses on several educational themes for kids. It also includes a shelf with several activities. The story is extremely appealing to children, not only visually, but also in terms of discovering and learning new things as they go along in the story, by presenting all the basic shapes and colors to children. It features 50 fun and interactive pages with more than 20 puzzles to solve, as well as 20 learning activities. The story is 100% narrated (uses the read-a-long feature) which enables children to follow the story word by word, and it also helps them understand the writing. In addition, parents can even be the narrator. 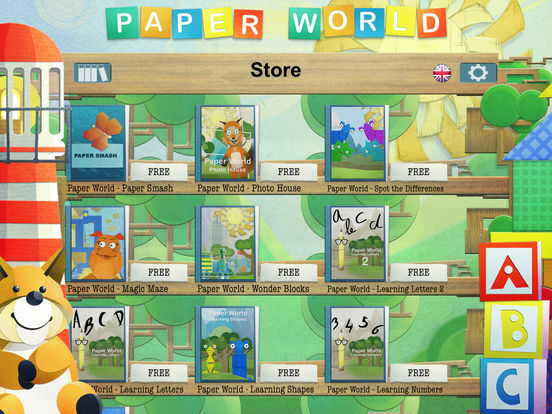 The app allows you to record your voice and this way children can follow along the story that was read by you. Enjoy these books with your children...and give us your feedback...more will follow in this collection!